We love being on the water and working with boats. We take pride in what we do and guarantee excellent workmanship, great communication and honest & friendly advice. 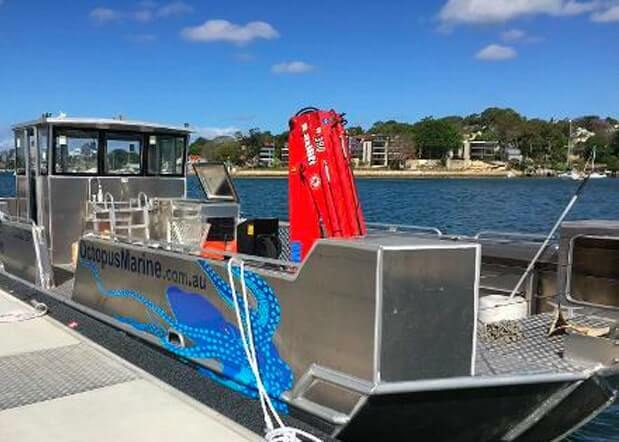 Octopus Marine is based in Sydney’s inner west and services Sydney Harbour and its tributaries. Deniz has been on the water since he was a lad working on his Dad’s fishing boat, and established Meltemi Diving back in 1998. 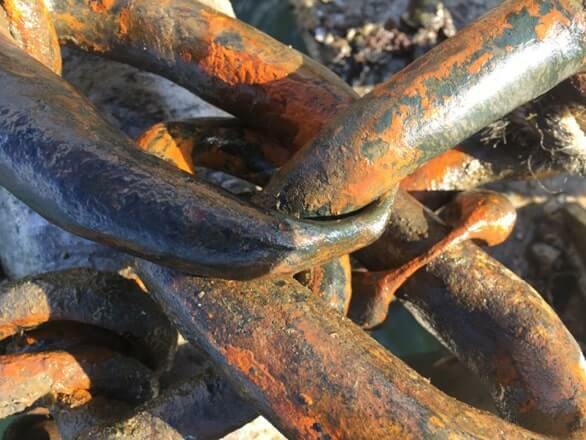 After many years providing diving support to salvage, mooring and boatyard operations, Deniz has built a new purpose built barge to deliver these services directly. MV Octopus is an 11m mooring barge equipped with a 6 tonne winch and 2.5 tone deck crane. 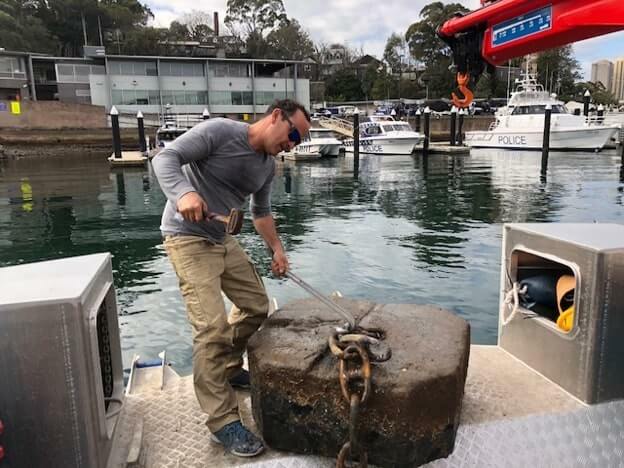 Deniz built his reputation on his reliability and excellent workmanship; he’s is well known throughout the Sydney boating community and can provide references on request from marinas, boatyards and vessel owners. 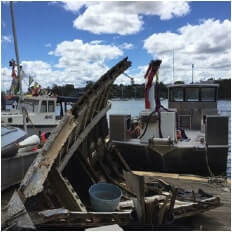 Octopus Marine’s current clients include members of Balmain Sailing Club, Drummoyne Sailing Club, Sydney Amateurs, Greenwich Flying Squadron, RAN Sailing Association, Sydney Game Fishing Club at Watson’s Bay, Parramatta Sailing Club and commercial clients including Point Piper Marina, Rose Bay Marina, Birkenhead Point Marina and Sydney City Marine. New moorings laid, serviced & relocated. 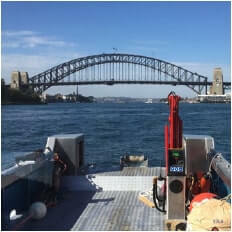 We can custom build to suit vessel and location requirements. 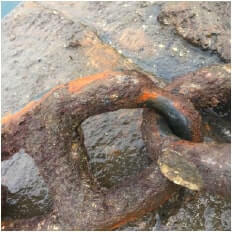 Existing moorings inspected and repaired. Full compliance with insurance and RMS requirements. 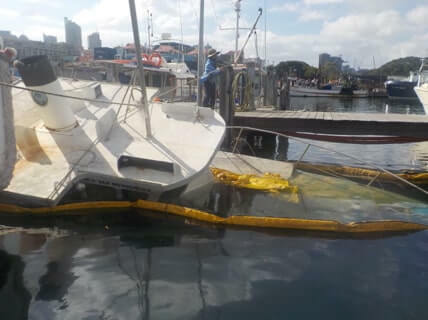 Recover your sunken boat or goods with our specialist equipment. 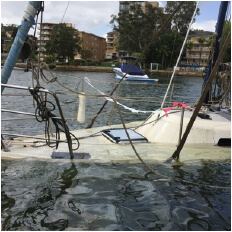 We can also offer diving and slipping services as required. 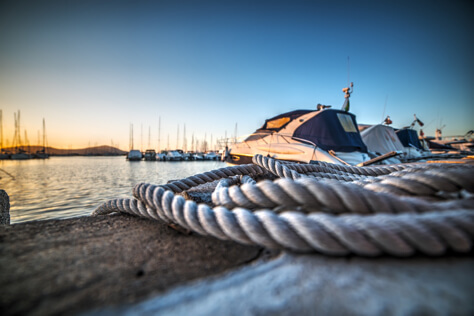 We will lift your mast, engine or heavy equipment out of your boat and can deliver landside. We can also arrange mechanical & riggings services if required. MV Octopus is licensed to carry 2 crew & 12 passengers. She can be hired hourly or daily as required. 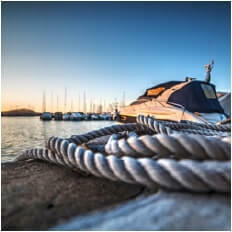 We will also transport goods & materials for you to & from waterfront property. 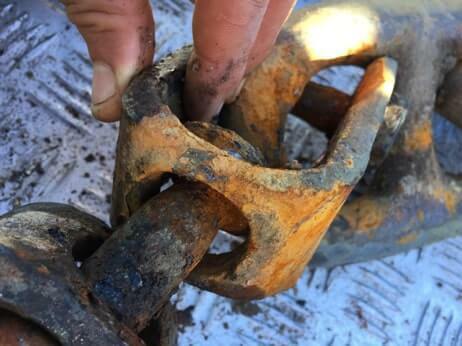 We can offer a complete maintenance program to keep your marina, pontoon or jetty in good shape. Diving services available as required. MV Octopus is licensed to carry 2 crew & 12 passengers.She can be hired hourly or daily as required. We will also transport goods & materials for you to & from waterfront property. 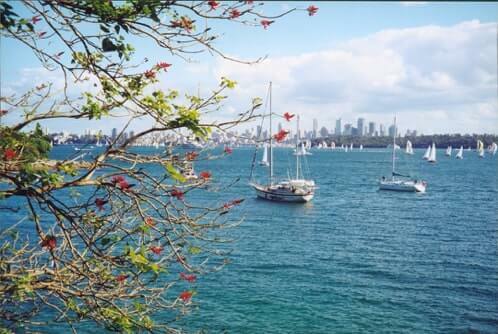 Octopus Marine is based in Sydney's inner west and services Sydney Harbour and its tributaries. Copyright Octopus Marine 2019. All Rights Reserved.